CHICAGO (July 20, 2018) – (RealEstateRama) — The nation’s largest professional association of real estate appraisers today announced its opposition to proposed federal legislation that would reduce the requirements for appraisals in major Small Business Administration loan programs. The Appraisal Institute objects to the provisions of H.R. 6347, the 7(a) Real Estate Appraisal Harmonization Act, and H.R. 6348, the Small Business Access to Capital and Efficiency Act, both of which would adjust upward the real estate appraisal thresholds for SBA loan programs. An appraisal threshold is the amount of a real estate transaction above which an appraisal is required. H.R. 6347 and H.R. 6348 would link the SBA appraisal threshold level to the threshold level established for commercial real estate by the federal bank regulatory agencies. Earlier this year, those agencies doubled the commercial real estate appraisal threshold level to $500,000. The SBA appraisal threshold level, which is set by statute, currently stands at $250,000. If the legislation were enacted, SBA loans for commercial transactions below $500,000 would no longer require an appraisal. The Appraisal Institute expressed its “strong concerns” in a July 19 letter to Reps. Steve Chabot, R-Ohio, and Nydia Velazquez, D-New York, the chair and ranking member, respectively, of the House Committee on Small Business. The Appraisal Institute specifically noted the risk to taxpayers. Like a real estate appraisal, an evaluation contains sufficient information and analysis to support the financial institution’s decision to engage in the transaction. Evaluations can be prepared by appraisers, but they also may be prepared by others with real estate knowledge and experience. The bills were introduced on July 12 and favorably reported to the House on July 18. 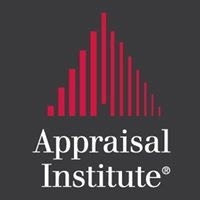 Read the Appraisal Institute’s letter. Read H.R. 6347 (sponsored by Rep. Dwight Evans, R-Pennsylvania) and H.R. 6348 (sponsored by John Curtis, R-Utah). Learn more about SBA’s 7(a) loan program and its 504 loan program.